A few weeks ago, I decided to fly home and see family. I wrote earlier this year about new cheaper flights between Belgium and Israel. 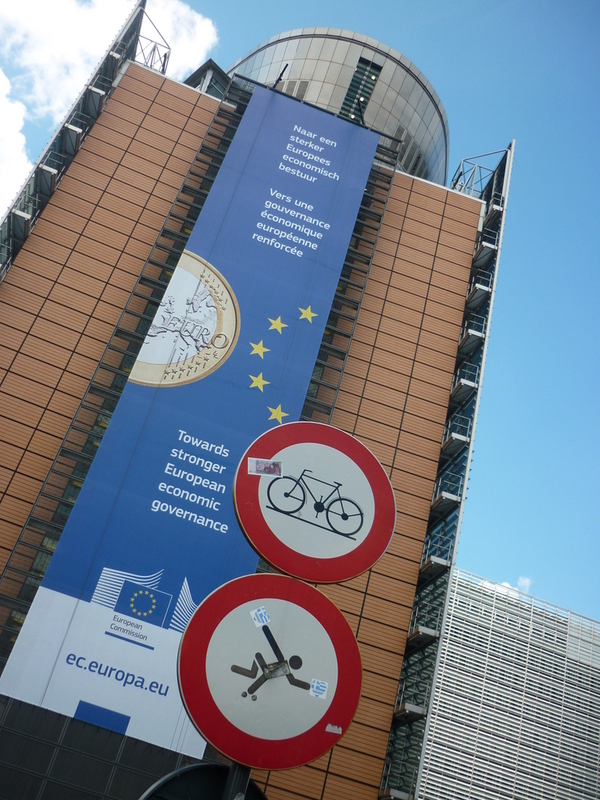 So I did exactly this route, planning to spend just 1 1/2 days in Brussels. The flight was reasonably pleasant, apart from the troubles booking. 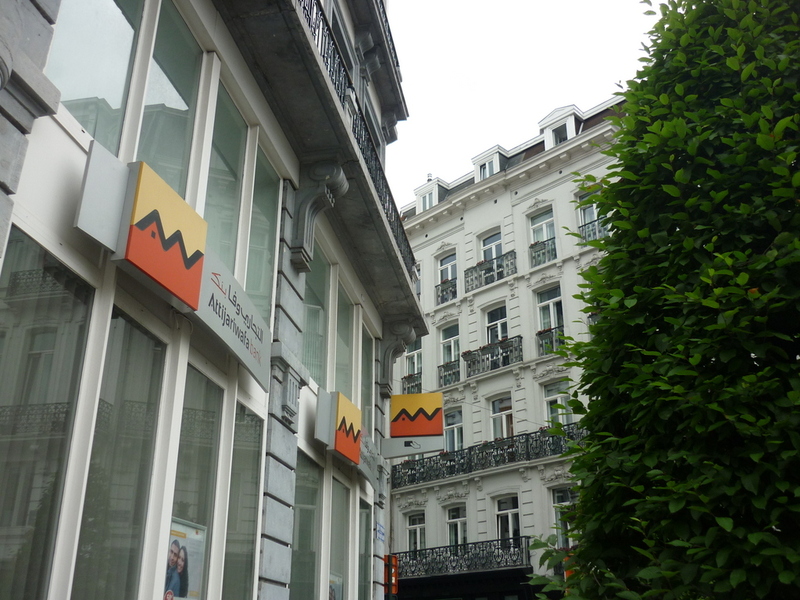 I remembered some former colleagues originally from Antwerp told me there is quite a large Jewish population in Belgium, mostly in Antwerp. Getting off the plane I could here some of the Orthodox Jews speaking in Flemish. Getting off the plane in Liege, meant to I realised I was at a fairly remote industrial estate as the airport is quite small, after waiting for a bus, the drive didn’t speak any English so I just followed the journey where was going to. This is the weirdest railway station I have seen, in the main part of the town of Liege. About 30 minutes later I was in Brussels. 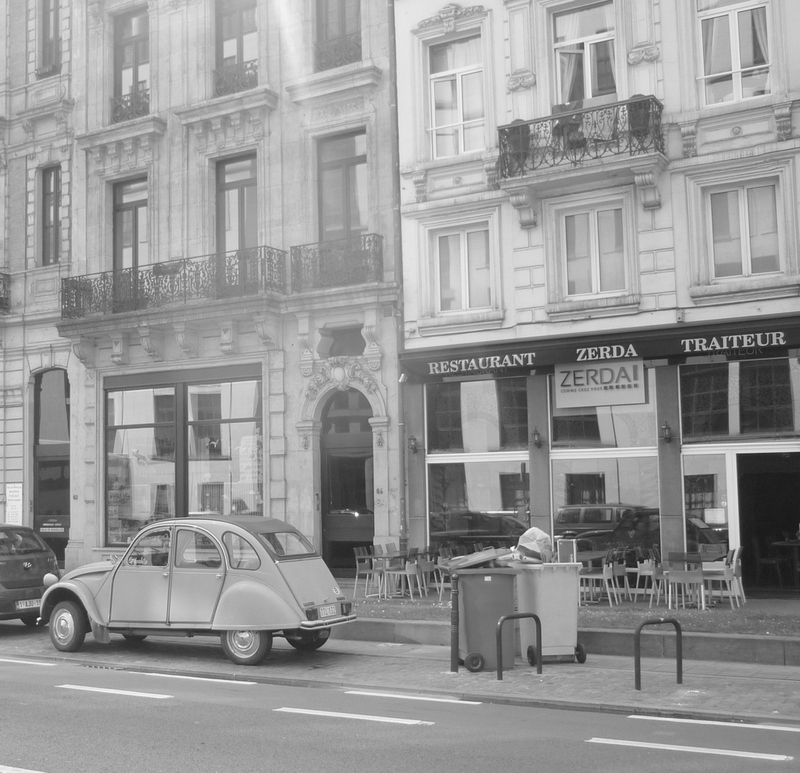 This pleasant street with a Citroen 2CV car seems to be a good representation of the Franco- influence of Belgium. 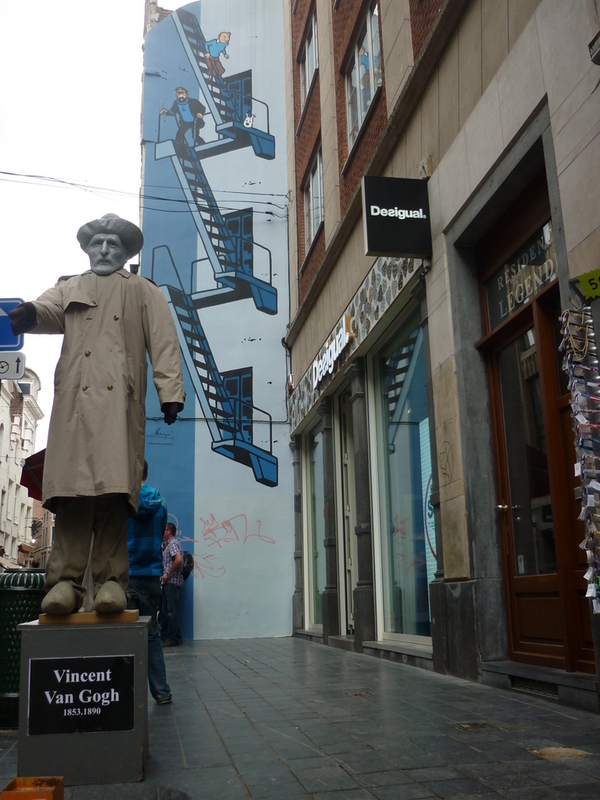 But actually there is more to Brussels than just being France’s neighbour. Cartoons are very popular here. The locally produced books in stores are alongside Japanese Manga, and of course, Herge’s adventures of Tin Tin which is painted on a few walls as it was penned from here, and Tin Tin is something of an icon here. Restaurants here are great! 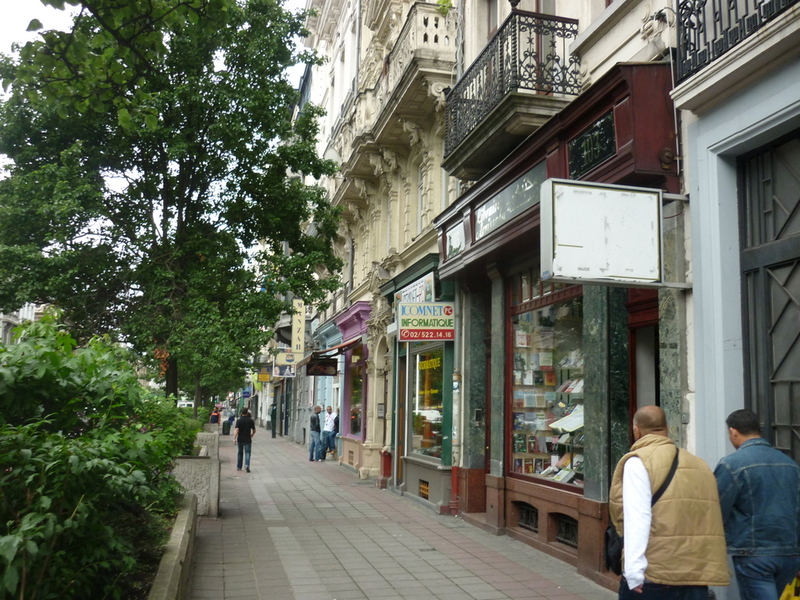 There is a small alleyway I found with plenty of nice places with fantastic value for money. 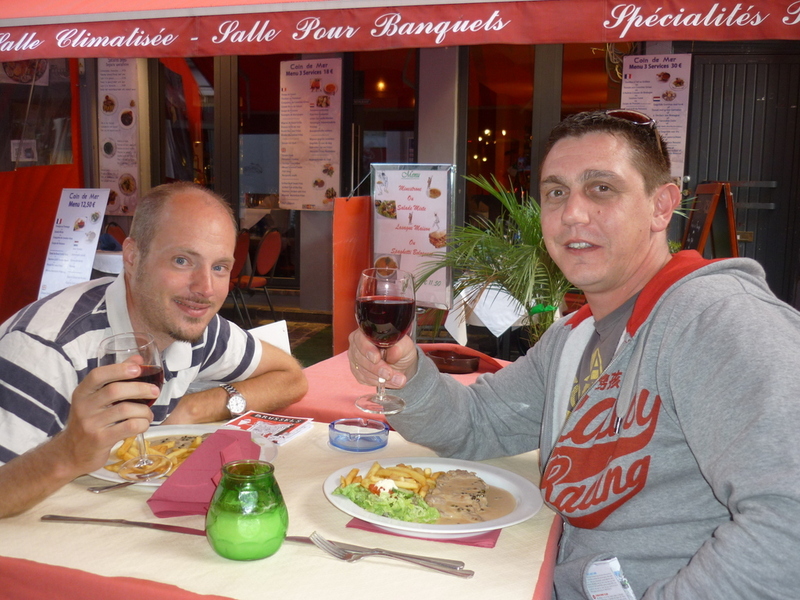 Me and my Australian room mate I met went to this place and got a nice steak and frites with red wine for 10 Euros! 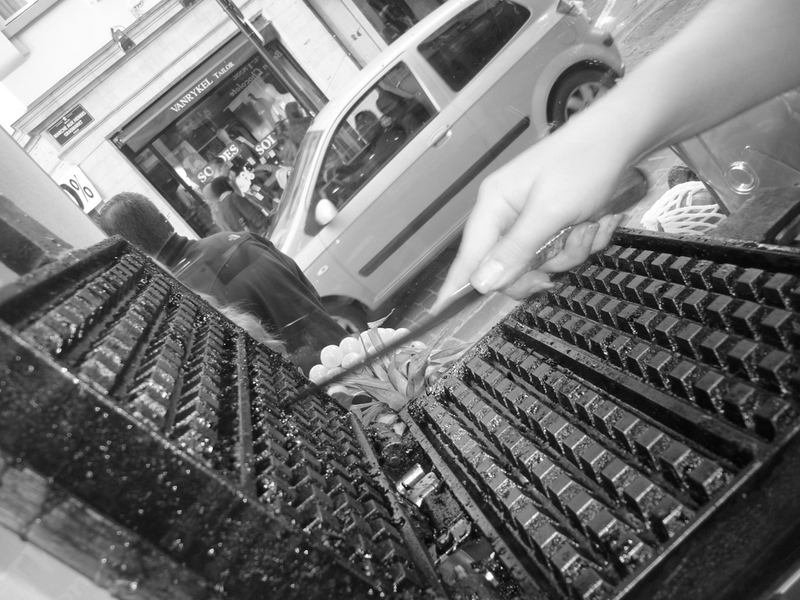 The next day I went to the place two doors away, and has Paella with white wine for 12 euros. 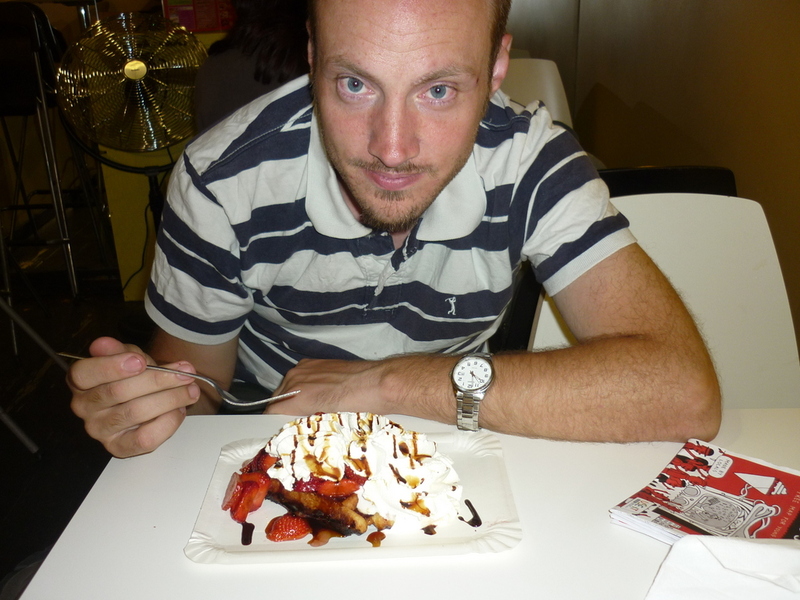 As far as food, everyone has to experience a proper Belgian waffle. This isn’t a lame supermarket sourced frozen thing, but comes out of one of these purpose designed metal grilling appliances. 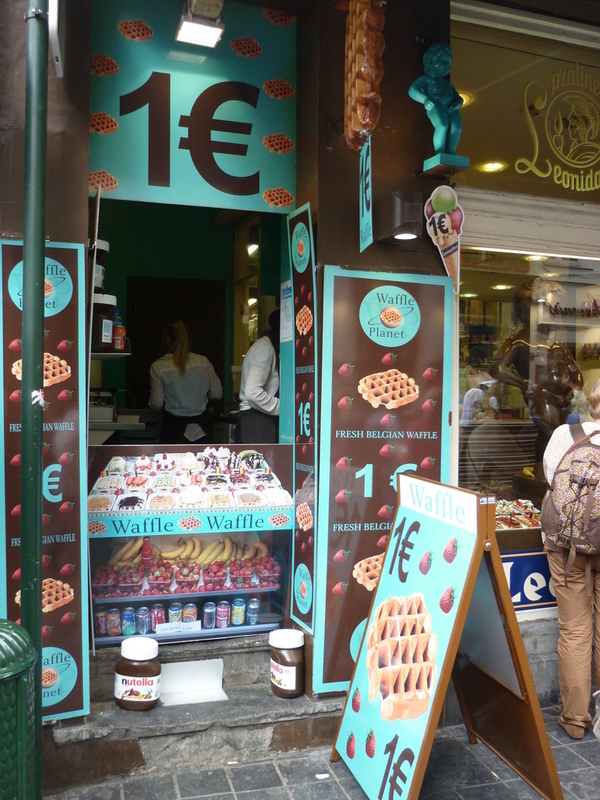 There is a load of different places to chose from to grab one to take away or sit down, this place had a 5 kilo jar of Nutella chocolate spread in the kitchen. 1 Euro for a plain one, 2 Euros with strawberries and ice cream. 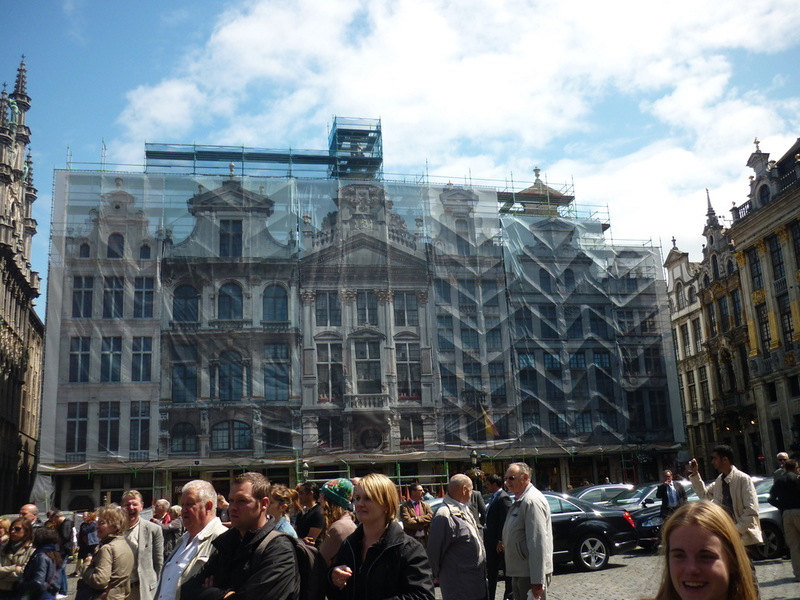 One thing I wasn’t prepared for was the large number of Arab people in Brussels. Brussels has a lot of immigrants, mostly from Morocco, Tunisia and Algeria, all countries that speak a mixture of Arabic and French. On the left is an Arabic bank which provides Shariah compliant services. On the right, this very long boulevard is nice and has a lot of computer and technology shops (like London’s Tottenham Court Road?) Arabic restaurants and it seems most of the businesses here are owned by Arab people. How long did it take for me to see in an Islamic community promoting dislike of Israel and the Jewish people? Sadly, not very long. 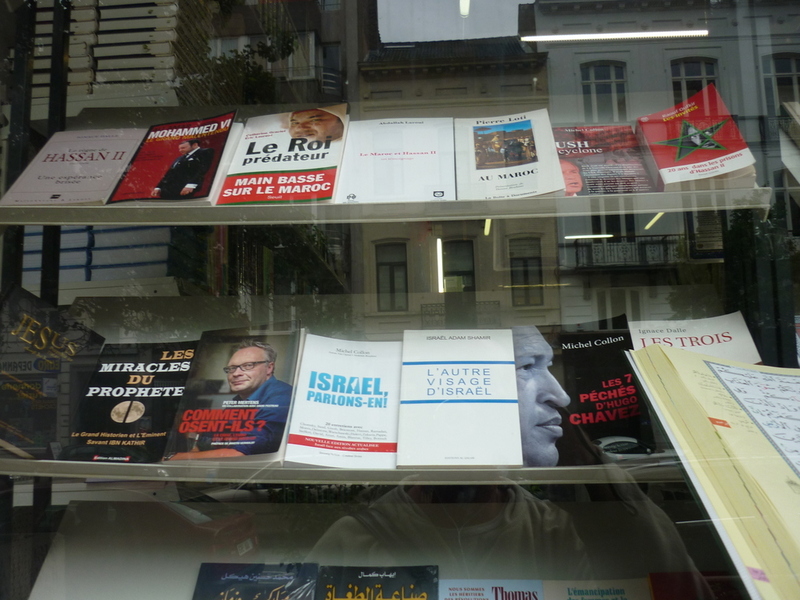 This Islamic book shop on the right had plenty of that in the window. Ok, Israel is far from perfect. 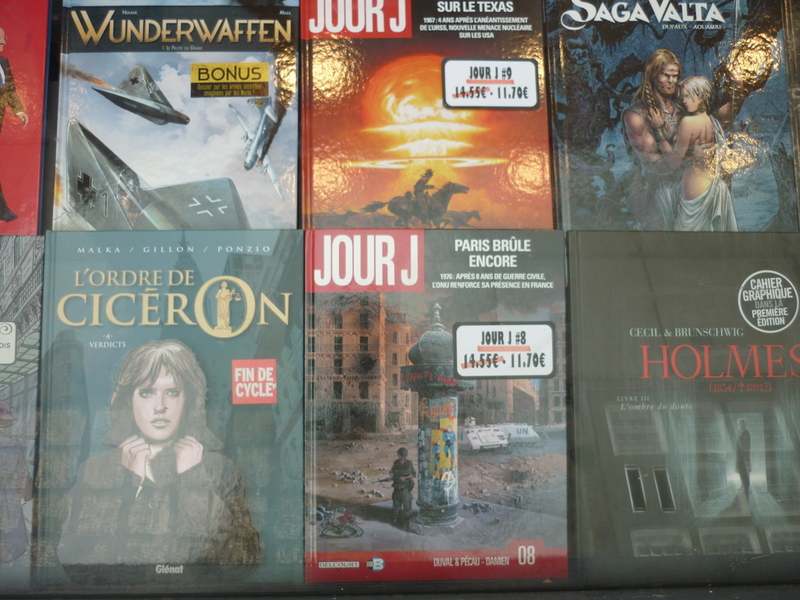 Maybe this shop could have books warning youth against Hamas, Hezbullah and getting into extremism? Or, show the mass slaughter of Muslim people in Syria. No such chance. There is a lot of people begging out of the streets, and the majority of them seem to be Arab. I was saddened to see an Arab woman looking forlorn at the pavement so I went into a bakery and bought a sandwich and gave it to her, she looked at it, so not sure if she was surprised or if not really hungry. I know domestic violence amongst Arab people is common in the middle east and I am sure it must happen here as well. Distressingly, I don’t know of any Christian organisations that could help with women in this situation, although it would need some very specially trained people to deal with this. The Mannkin Pis. 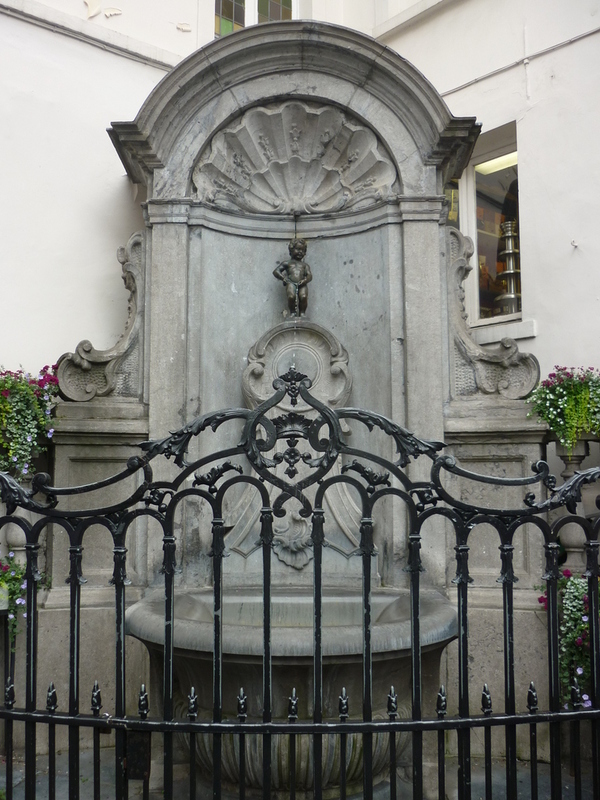 The iconic statue of a young boy urinating in a fountain which has been copied many times. Although it is quite small but has a large crowd of people getting their pictures in front of it. 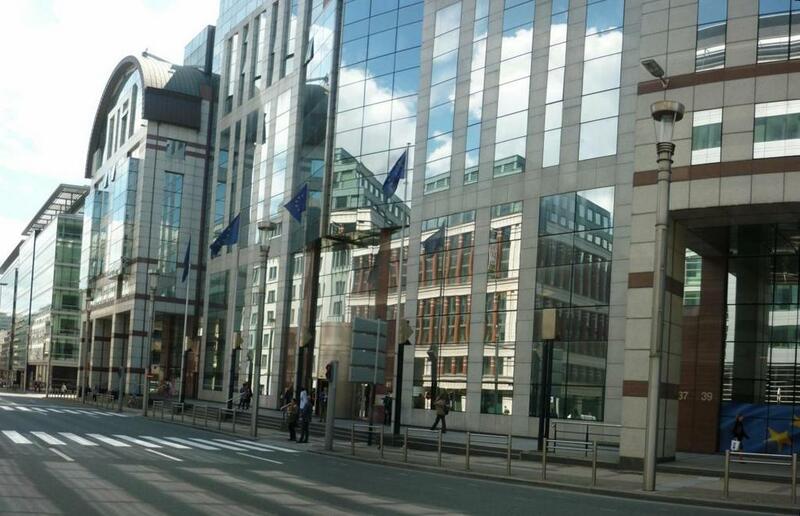 Some of the huge office buildings in the east part of the city that part of the EU. Another place that can bring out strong negative emotions. Oddly, Brussels seems quite prosperous apart from the beggars I saw, no closed down shops, I think there were plenty more tall offices being constructed in progress.This sign looks like it could have some funny slogan, but couldn’t think of anything at the time. This is the Arc de Triumph. No not the same one as in France. 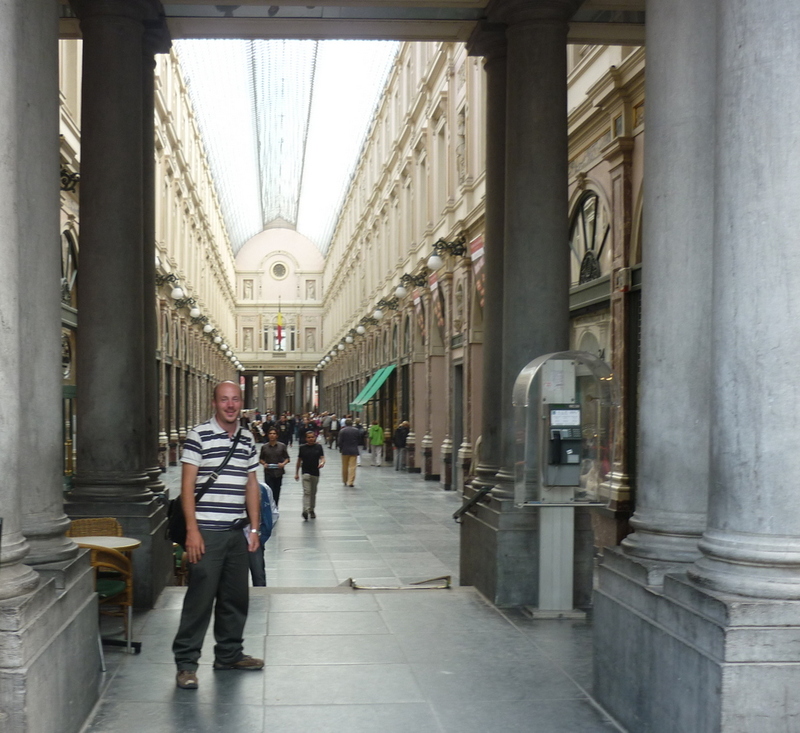 I went in here to the Brussels car museum, in one of the corners of this majestic place. 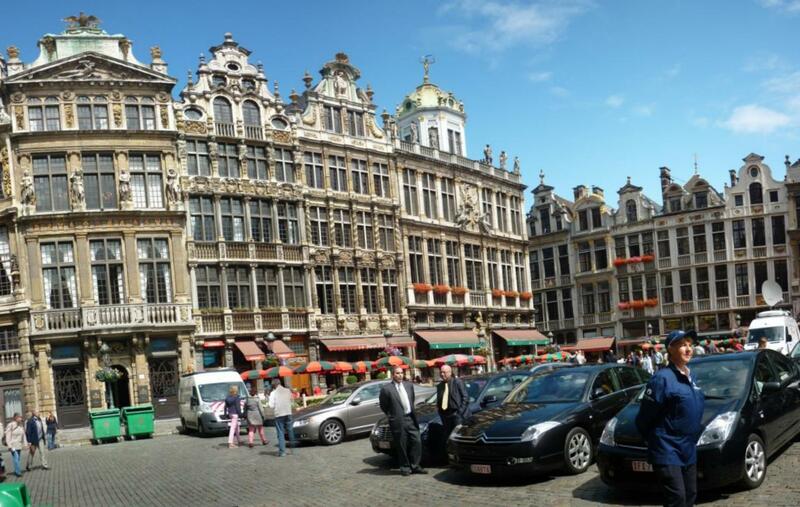 Brussels is a pretty huge place. I think a lot of people from other EU countries can easily come and work here, and to be honest its a wonderful place. Here, in the town square, something important was happening, not sure what, but there were several big cars with people getting out that I am guess are government officials. There was a stage and some live music, I left as I wanted to get some lunch. On the right here, part of the old buildings in the square are being repaired, so a fabric cover over the scaffolding has an exact copy of the buildings whilst the work is being done. Quite clever. The red flowers in the window boxes and canopies in front of the cafes here reminds me of the ones in the 1990s Stella Artois TV ads where the man selling flowers trades his stock in for a beer. I got chatting to a girl in a restaurant who was from Slovakia who just been accepted after a job interview. It seems theres a lot of people from other parts of Europe and Africa here. I can see why. Its a beautiful city and I think an appealing place to come and live and work. I didn’t get any pictures later, but here I got on the Eurostar which took me to London in 2 hours, although the train didn’t feel like it was going that quick, surprisingly enough the bit under the tunnel is actually only 20 minutes!